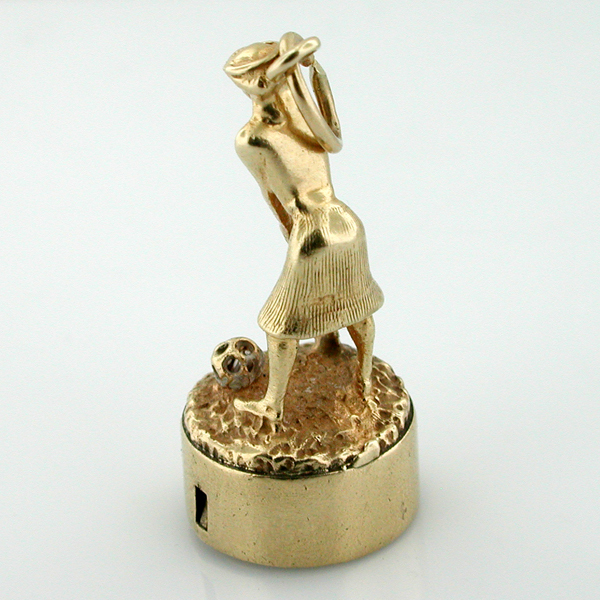 This is an amazing 1960's 14k gold vintage Litacharm. 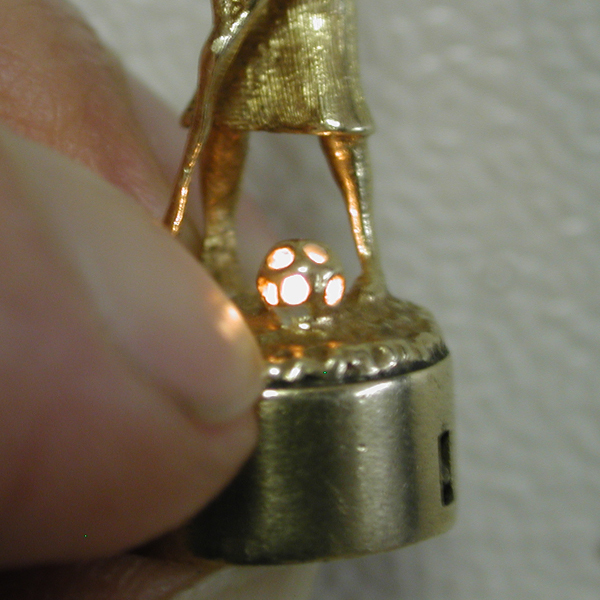 Depicting Lady Golfer with battery operated light inside the ball, which may be turned on and off by pushing the bottom of it. Measures 1-3/16" X 1/2" (30.5mm x 13.5mm). 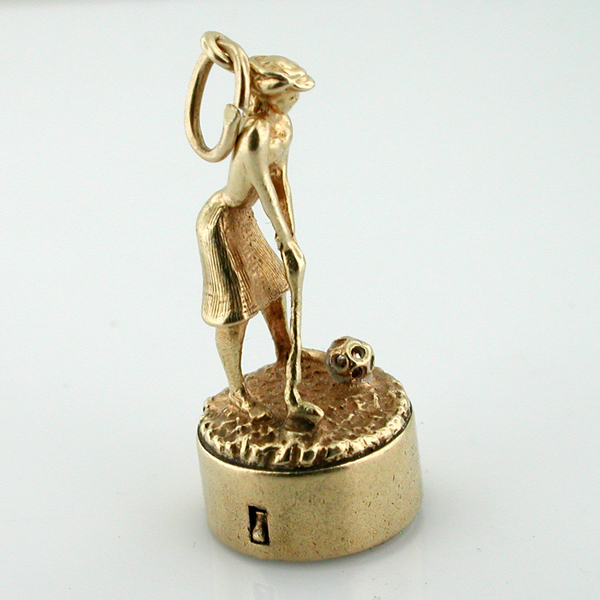 Total weight of the charm is 7.9 grams. 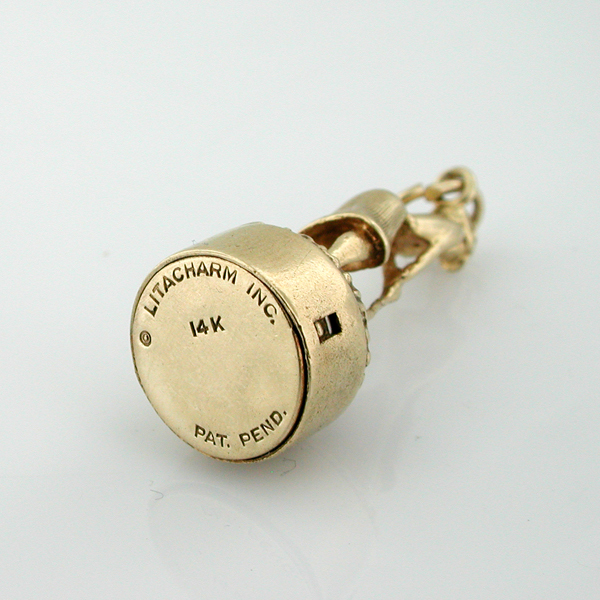 Marked LITACHARM INC 14K PAT. PEND. The charm is in very good vintage condition.